The international Internet of Things Conference in Moscow dedicated to the IoT market development. The event will take place for the sixth time and bring together public officials, IoT experts, developers, major entrepreneurs, and investors. 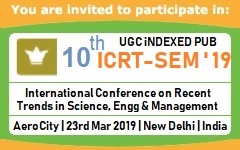 At the event, IoT specialists from different countries will introduce attendees to the technologies of the future and tell about the implementation of IoT solutions in company operations. The focus will lie on case studies of the technology use in business. 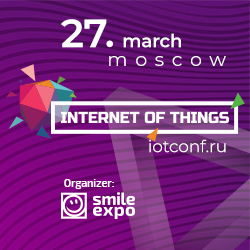 Guests of the event can expect the traditional exhibition area that will gather Russian and foreign developers of IoT solutions. Conference Highlights :how to set up smart production using cloud technologies; how automation of networks and SDN speeds up work processes; how IoT will advance the machine building industry; IoT for smart cities and transport multichannel communication; confidentiality in the online world; blockchain for the protection of IoT networks; capabilities of the Russian chip for the IoT.